The list of dramas that I have completed this year range from romance to action, thrillers and melo. I hope you’ll find something to watch from here if you have not done so! 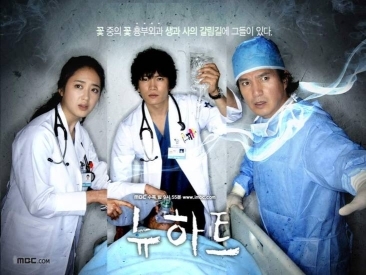 Prior to this, I had not really watched Kim Rae Won in anything but I found myself loving the drama because of the fast-paced and tense storyline that weaved in twists which caught me off guard at times. This was coupled with strong acting by the cast, which included veterans like Jo Jae Hyun as the unscrupulous Prosecutor General Lee Tae Joon who never stopped at anything to get what he wanted, and Choi Myung Gil as Minister Yoon Ji Sook. She was mentor to our heroine, but shifted to the dark side to move forward in between the series. Certainly, the lead pair was also formidable in their own right: Park Jung Hwan (Kim Rae Won) was a character I would never forget. He was supposedly the hero (but I didn’t think of him as one in the beginning) of this story, but I didn’t like him at the start because of his ruthless manner in handling things. This is something unique of a drama’s hero, where he was on the evil side, until he found out that he only had months to live. Then he decided to make things right by bringing the man he once worked for to justice. His ex-wife Shin Ha Kyung (Kim Ah Joong) on the other hand, was all along self-righteous until she realised that the boundaries between black and white weren’t as clear as they seemed: there were areas of grey sometimes and they would overlap. She did not agree with Jung Hwan’s principles at first but she still loved him and continued to support him to the end of his life. What I loved about this show was that no one was downright good or bad- and that is what makes us human. Even Tae Joon whom I thought I would only hate showed true emotion (not crocodile tears) when he found out about Kang-jae’s (Park Hyuk Kwon) betrayal although he was left alone when he was no longer of use to Tae Joon. Watching it actually reaffirmed the fact that these characters were human too, and this was how I ended up rooting for them. The drama reflected reality, albeit dramatized at certain parts and this is one reason why the audience was able to relate to them, and understand the choices they make as well as why they do things a certain way. I marathoned about 10 episodes of the drama in a few days before I had to wait weekly for episodes to watch. All the action was enough to captivate me: climbing of high-rise buildings, jumping across skyscraper rooftops and kickass fight scenes by our hero Seo Jung Hoo a.k.a Healer (Ji Chang Wook). He was a night errand man for clients that hire him (without knowing his real identity) to help find people or anything that needed the skills and power of Healer. 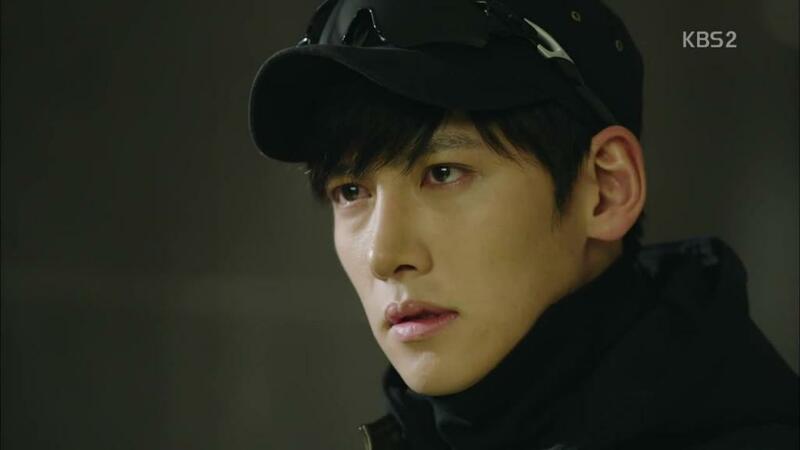 His movements were highly secretive and unknown to all except one: his hacker-partner Jo Min Ja (Kim Mi Kyung) who helped Healer track his targets’ whereabouts as well as disable various security systems. Initially he had no one on his side except her, but soon after he gained 2 friends who teamed up with him to find out the truth about the past that they were in one way or another involved in. One of them eventually became his partner, and she is Chae Young Shin (Park Min Young). Determined and with aspirations to become a great reporter like Kim Moon Ho (Yoo Ji Tae), little did she know that she would get entangled with an incident stemmed from the past. Embarked on a quest for the truth, she fell in love with Healer who saved her life several times. He used a fake identity Park Bong Soo to get close to her. As the story progressed, Jung Hoo’s identity as Healer began to become more known amidst suspicions and conflicts. Besides the action, the characters each had different stories to tell. Ji Chang Wook showed depth in acting dual identities (no, 3 actually) and there were distinctly different traits in each character but yet beyond the facade there was a feeling of similarity in each one. Yoo Ji Tae was the one whose character had the most emotional depth in my opinion, because I couldn’t tell what drove his motivation to uncover secrets. And with a brother Kim Moon Shik (Park Sang Won) whose motivations were a direct opposite, he must have felt the conflict most strongly and directly. I was extremely glad when I heard that Ji Sung and Hwang Jung Eum were re-teaming for a new drama after Secret on KBS as I loved their electrifying chemistry in the revenge melo. Before everything started I had already stepped into this roller-coaster(?) ride. Usually I try to start on a drama with as low expectations as possible, in order to be more open to new ideas (disappointment factor aside) so that I will not be too quick to pick on weaknesses. 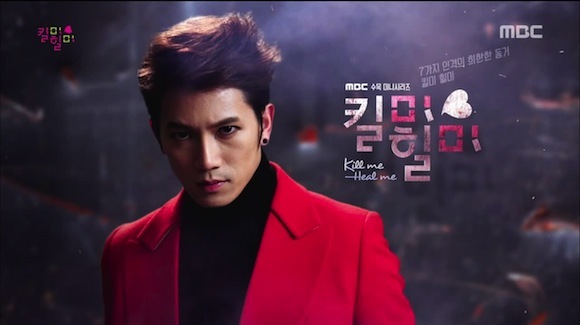 After all, no drama is perfect but Kill Me, Heal Me definitely did not disappoint and I gained far more satisfaction than what I thought I would get. 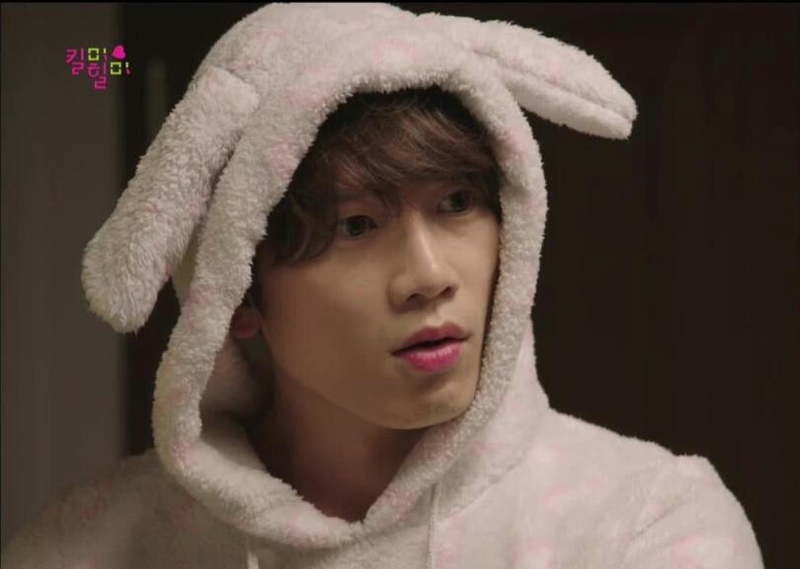 Ji Sung was certainly the star of the show, with 7 different personalities to portray and the main one being Cha Do Hyun, a chaebol son of a conglomerate Seungjin Group. He had a quiet, reserved nature whose heart walls were blocked due to a traumatic experience in his childhood. This was until he met Oh Ri Jin (Hwang Jung Eum) whose warm and positive personality as a psychiatrist touched him and opened the walls to his bruised heart. At the same time, she treated his Dissociative Identity Disorder (D.I.D) which arose from the hurt he received as a child. I admire Ji Sung for his ability to act out 7 entirely different characters in the same drama who managed to convince me that he was him/her (even the most unbelievable teenage girl, Ahn Yo Na) so much that I felt he deserves an acting accolade at the end of the year. (Right?) Light-hearted moments gave me lots of laughter, and serious moments were filled with such strong emotions that I really felt sad watching. [Ok, I cried a lot watching this show haha] As a viewer, I was able to empathize with him and his inner thoughts. Hwang Jung Eum was criticised for her over-the-top screaming and loud voice at the beginning of the drama, but I felt that it was just right for her as she had to bring out that extrovert self in her. I loved how Ri Jin’s personality complemented Do Hyun’s, despite the differences between them. Ri Jin was the character who began to show her different sides (crying, weakness) as the drama moved along while Do Hyun became stronger and was eventually able to overcome the multiple personalities who were stronger in mind than him (Shin Se Gi in particular). I liked that by the end their characters had found a good balance and it was sweet to see them overcome all hardships and stay together. Ri Jin’s twin brother Oh Ri On (Park Seo Joon) was the second male lead who was never able to confess his feelings for his non-biologically related sister (unlike all other male leads) but only stayed by her side to protect her, listened to her problems and gave her good advice (just like a real brother would do) and it was touching to see their good sibling relationship and this added another dynamic to the show that was one of my favourite. This drama is a must-watch if you love romantic comedies, melo, and some mystery. Anddd for Ji Sung who is so talented I feel he’s an underrated actor. It is still ongoing but I would like to talk about it for a bit. From the get-go, Mask would feel like a bit of a turn-off due to traits it has that’s alike to a makjang drama (a not-so-normal family with members trying to get at each other, with kept secrets down to the bottommost pit and everyone wearing a “mask”) This means that “What you see is not my true self.” As outrageous as the plot seems, Mask actually manages to embrace it with style despite some plot-holes (like incapable police officers, the uncanny ability to manipulate someone to such a large extent just because you are rich) and the gaps are filled with superb acting by Ju Ji Hoon as Choi Min Woo the chaebol son of the family, and Soo Ae as Seo Eun Ha/Byun Ji Sook; the former a sophisticated and classy woman who had wealth and was in love with her lawyer brother-in-law Min Suk Hoon (Yeon Jung Hoon) though she was slated to marry Min Woo. The latter was a weak, powerless woman who came from a poor family and was in debt to loan sharks. Though different, they looked exactly the same and a twist of fate killed Eun Ha, while Ji Sook took up the Eun Ha’s role through a deal with Suk Hoon (since the 2 women were doppelgangers). So far, the “fake” love between Min Woo and Eun Ha has become real since Ji Sook replaced her. The time that passed made them fall in love with each other genuinely, with one looking out for the other to protect him and vice versa. 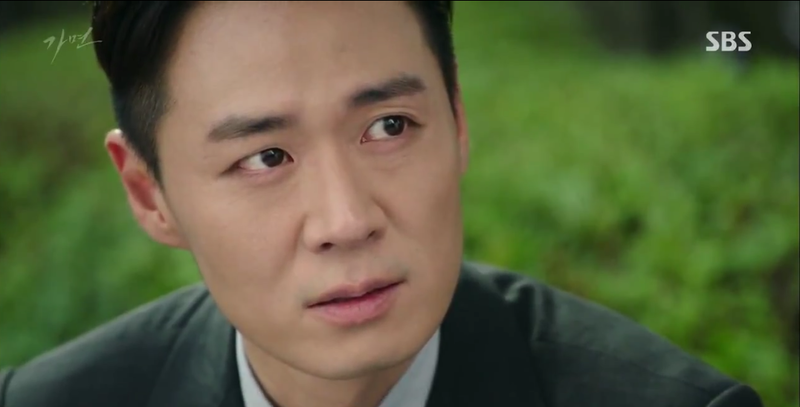 The control that Suk Hoon initially had over Ji Sook is totally lost and it can be seen in Suk Hoon’s anxiety and confusion that he is losing control. To make matters worse, Suk Hoon’s wife, Choi Mi Yeon (Yoo In Young) has discovered the truth with secrets that have been revealed slowly and at the rate she is going, she is not going to stop at anything to expose Ji Sook. She has been trying hard to make her brother realise that his current wife is not who he thinks she is. On the other hand, Suk Hoon is doing all he can to stop her on the grounds of their relationship which may falter anytime if anything more happens. I am so curious to how this will end, with only a number of episodes left to air and the story continues to increase with intensity each week. If you would like to see more mysteries unfold, watch as all the masks fall off. Ok, this drama just had its premiere week but I felt like talking about it so these are my thoughts so far. With the main tension set in place from the start, this show is set for the beginning! The conflict arises between the vampire Gwi (Lee Soo Hyuk) who wants to eradicate humans and be above them and our hero Kim Sung Yeol (Lee Jun Ki) who became a vampire by being forcibly bitten. He still has a human heart though and he wants to kill all the vampires who do evil. We are good to go from here with the introductions of the different characters and problem set in place, but the premiere week also left me with lots of unanswered questions like, What exactly happened between Gwi and Sung Yeol’s buddy from 120 years ago the Crown Prince (cameo by Lee Hyun Woo)? How did they frame the previous generations of Crown Princes with treason? I was still sad to see Sung Yeol becoming a vampire although I knew beforehand that it was going to happen. Because it meant that he was no longer the person he was before he was bitten and I could tell when he first appeared after the time lapse. But cue guy eye-liner, red eyes and more make-up! 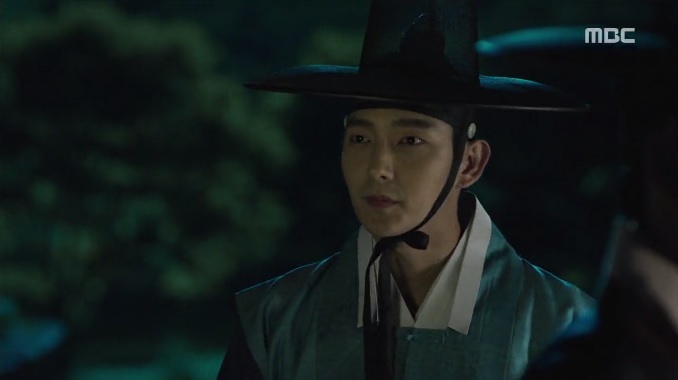 (Haha I really think Lee Jun Ki has eyes that look like a vampire) This is an addition to seeing him donned in traditional sageuk clothing, and it looks really good! The flow of the background story was fast-paced, we were off for a brisk start right at the head of Episode 1 so there was insufficient time to tell a detailed version of the story. However, I believe that these gaps will be filled up as we go along and once the backstory is fully set I will be able to understand it more. I am also curious to see how Yang Sun’s (Lee Yoo Bi) story will develop from here. Now that one more person has found out that she is a female, what kind of dynamics would it bring? Of course, another character worth anticipating would be Sung Yeol’s girlfriend Myung Hee (Kim So Eun) as a different person from now. Finally it would be how Lee Yoon (Changmin) is linked to the other characters and how they will work together from now. I am really excited to know, are you? Reblogged this on My Mp4 Soju. Yay! Finally found someone who shares my love for Punch! That drama was kinda underrated, I think. I know right! Punch had not-so-bad ratings by the end of its run, in fact it was a worthy competitor of Healer in the same timeslot. It just didn’t sit well with the international audience, so it turned out to be less popular and thus underrated.